Happy Easter from all of us at Inspire, we will be closed over the weekend to enjoy time with family and friends! See you all next week! We have a few promotions going on in store right now, including our gift basket raffle! 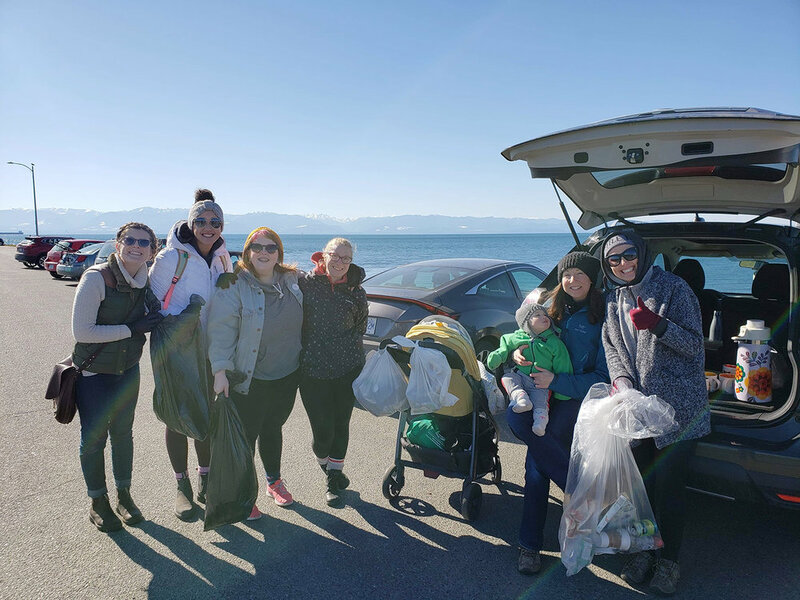 Our March Beach Clean-Up was such a success! We definitely noticed a lot of plastic on our beaches. One of our teams really focussed on sifting through the rocks and the driftwood to locate the plastic and it was alarming how much we found. It’s the little things that are so harmful to the fish and animals of our sea. We also had some furry visitors as well as a few locals help us out along the way! Thank you to every one who pended a hand! We will keep you posted on when our next beach clean-up will be. Join Us March 4th at 10am for a Beach Clean-UP. Help us keep Victoria’s Beaches clean and beautiful. There will be some zero-waste snacks and hot tea so bring a mug from home and a friend, we will supply the garbage and recycle bags. If you have garden gloves those would be helpful too!. For the next 8 weeks we hare having a draw for this amazing GIFT BASKET. Valued at over $250 it includes MoMO Shampoo + Conditioner, Oi hand Balm, a Special Edition Scented Candle and more. The basket will also include a gift Certificate for a Complementary Shampoo + Blowdry. For your chance to win come over to the salon and purchase ONE full size Davines product. Hot Tip - the more you buy the more entries you will get. 2 Products : 2 Entries, 3 Products : 4 Entries! Best of luck. Contest ends April 12. Select stylists are now offering eyebrow tinting. Add this to your next colour service or haircut. Stop in or call us to book an appointment. At Inspire Hair Design we are committed to keeping our salon eco-friendly and carrying only eco conscious products. Have a little read below of why we do this and how! Merry Christmas! As a part of customer appreciation month we are giving gifts to our clients who we appreciate so much! We hope you have all been following along with our 16 Days of Christmas giveaways, if not there is still time to win! Follow along on our instagram or facebook pages. We are also doing weekly draws for those who are in the salon for services each week. Be sure to book an appointment before the December 22. Best of Luck! We are so thankful to all of our clients who have been bringing in socks for our sock drive! Keep them coming! There is still another week to contribute. On Dec 22 we will bring the socks to a local shelter. Thank’s for your support!! Join us this December for a sock drive, bring in new and gently used socks from now until December 20th so we can help those in need in our community keep warm this season. Donations will be taken to a local shelter. 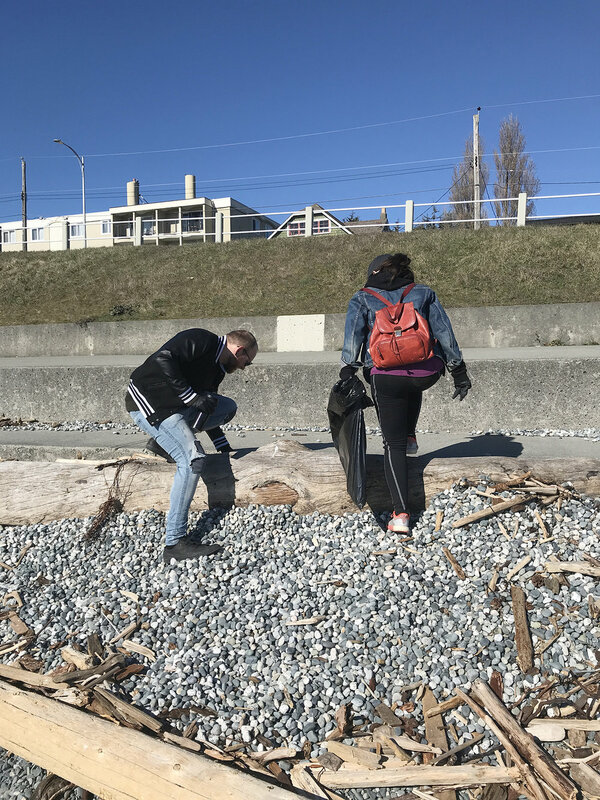 September’s beach clean up at Clover Point on Dallas Rd. was such a success! Thanks to all of you who volunteered a few hours of your day to help keep Victoria’s beaches clean and beautiful. Every little bit counts. Stay tuned for our next community event!